Home / Mommy Mania / Selecting Baby Wipes – Do Flame Test Then Decide. Being a mommy, I always select the best for my kiddo but sometimes even I fail and that makes me feel sad because my baby suffers as a result of my failure. My baby was a diaper free baby ever since he is born, and we seldom used diapers for him but still, he got rashes on his bum. That redness and rashes on his bums are making me restless and he was crying. As our doctor, knows our little love was a diaper-free baby, he asked, are you using baby wipes? And I said yes, and my doctor gave me biggest shock of my life that even the leading brands of baby care, have baby wipes that contain chemicals that have adverse effects on baby’s soft skin. And I was sad, shocked and much more confused that how to select wipes that good for my baby. My Doctor guided me the right way and told me how to select wipes. He said, read the composition, and details about the wipes content properly and then choose but don’t end your search here, for wipes do perform the flame test. The flame test is a way to know that your wipes are safe from chemicals and made with high-quality fabric. It’s an easy test that can be performed at home and give you an opportunity to select the best. What You Need – baby wipes, candle, matchbox. Method – take the wipe and let it dry a little to assure proper burning. Light the candle using Matchbox. Hold the corner of the wipes and keep it near the flame. Factors To Check: 1. Fragrance – The burning fragrance tell you a lot about the fabric used to make a wipe. If it has a smell like burning plastic, it means wipes have a high percentage of polyester in fabric or chemically formulated using plastic wastes. Whereas, if there is no foul smell or smell like burning paper or cotton cloth, it means the wipes are made from safe natural fabric. 2. After Burn Residue – The residual remains after burning the wipes also tells about the contents of the fabric of wipes. Hard black residue on the edge of burned wipes indicates the presence or polyester, whereas if it turns to ash that means that the fabric is made from natural fabric and don’t have polyester content in it. 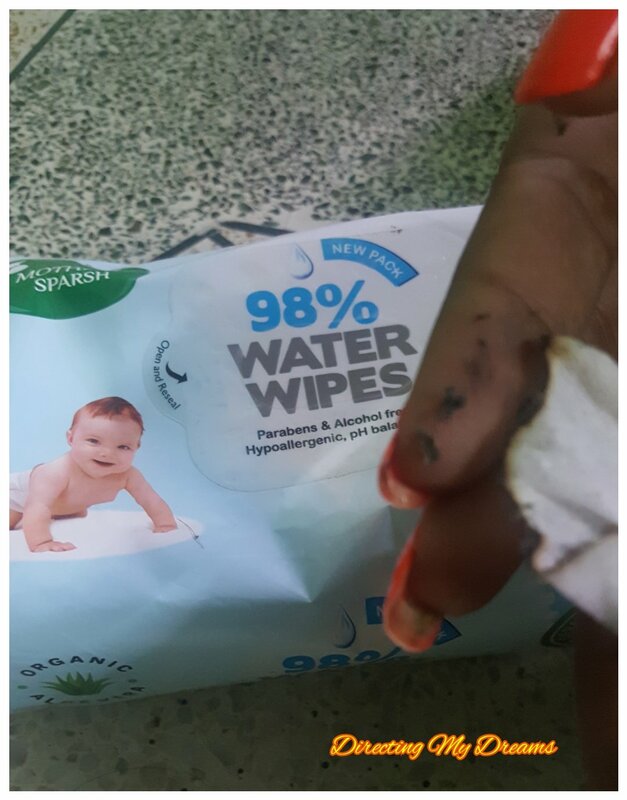 As advised by our Doc, I performed the flame test with few brands that are on my list and found Mother Sparsh water-based wipes passed with flying colors. Mothersparsh wipes are as good as cotton and water and safe for baby’s soft skin. Mothersparsh wipes are made of 100% viscose fabric and contain 98% water. With skin-friendly natural fabric, mothersparsh wipes are biodegradable. 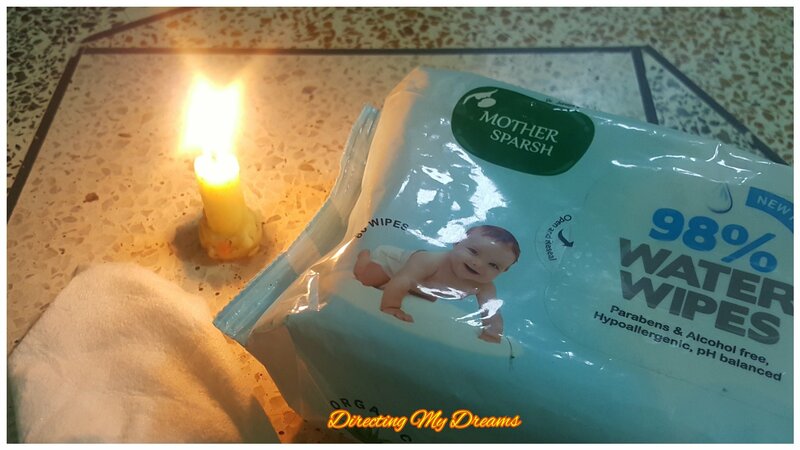 When I performed the flame test with mothersparsh wipes, there is no foul smell, it smells like I am burning paper. The flame test, result in ash at the corner from where I burn it, which again ensure that it doesn’t have any polyester content and not formulated from plastic wastes. The flame test is indeed a right way to decide right wipes for your baby. Mothersparsh wipes give best results in the flame test. It’s time to switch to mothersparsh wipes. Shop now and dont forget to perform a flame test to make sure that mothersparsh wipes are the right choice. A great post! Indeed, you helped me! I am a child specialist and can recommend your baby wipes to use. Thank you Yogita! I’ve used this Mother Sparsh a lot before. and it’s truly safe for kids and babies. Actually, I always recommend this to all my friends. I have done the flame test and i was surprised to see the results even the best of brands couldn’t pass the test .I am so glad i switched to mother sparse wipes. I love the fact that these are 100% bio degradable. When it comes from another mom and who has already used those for her babies is a trust that it safe for others as well. I need to try this brand .The review is very helpful.Sharing it with my friends group. so happy it passed the test. Nothing better than organic water based wipes that are good for the environment too! What a surprise to see the flame test! I am glad there are natural and better wipes available! 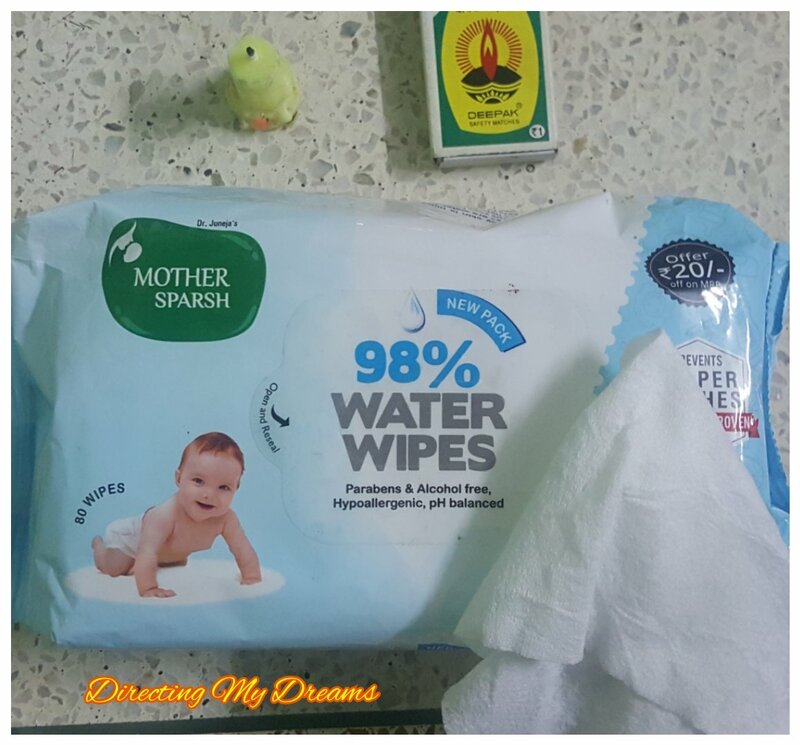 I am in love with Mothersparsh wipes. Have been buying since the time I took the flame test. I was blown away too.